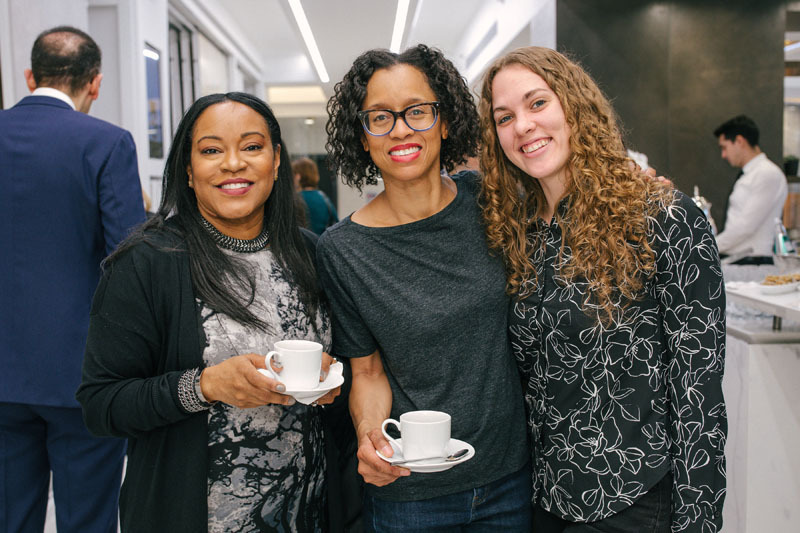 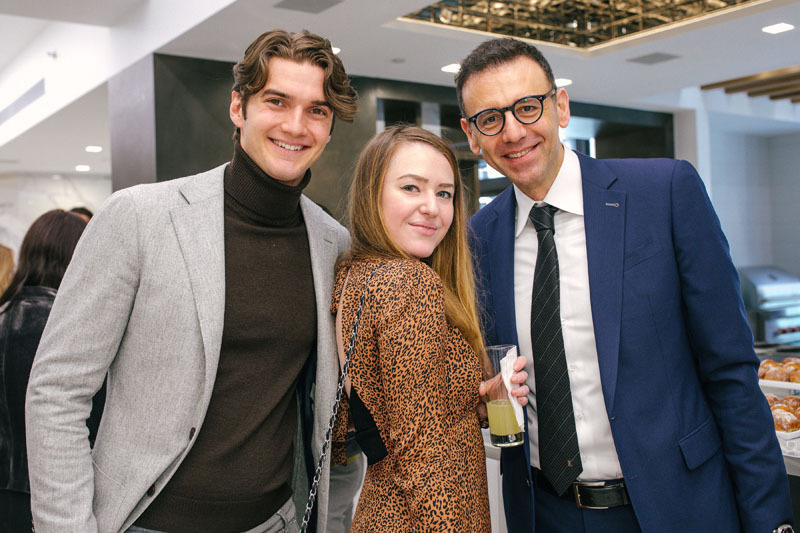 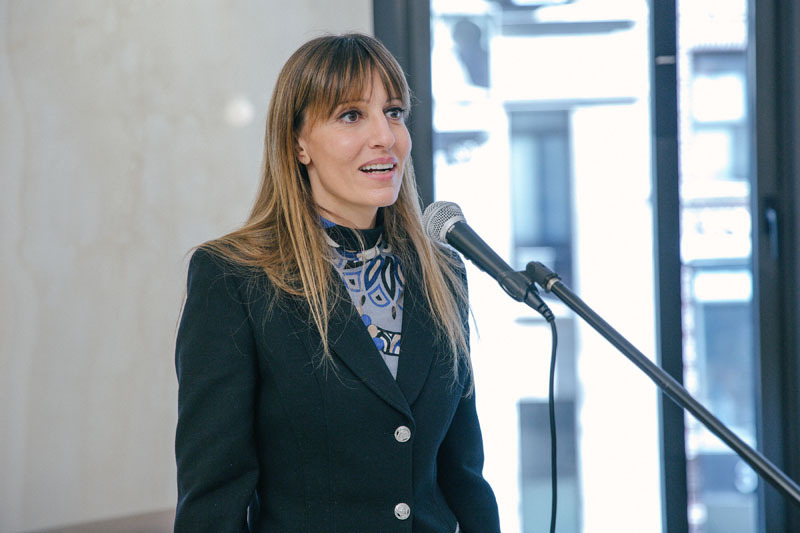 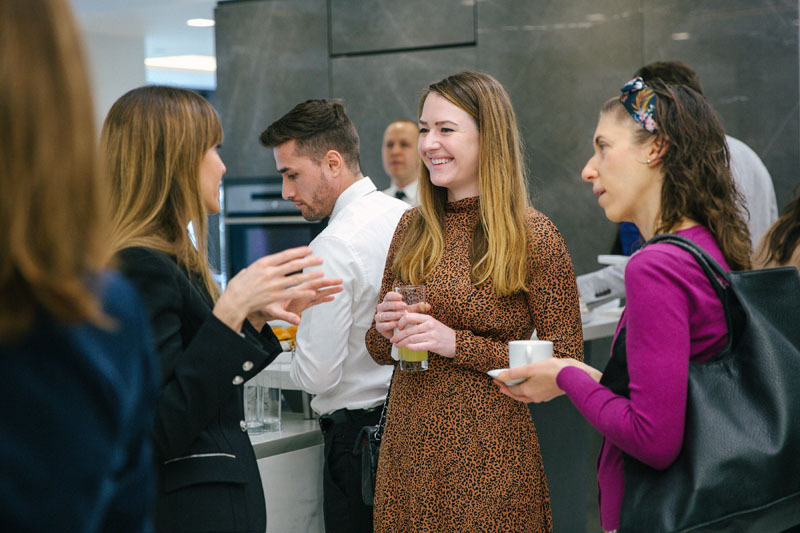 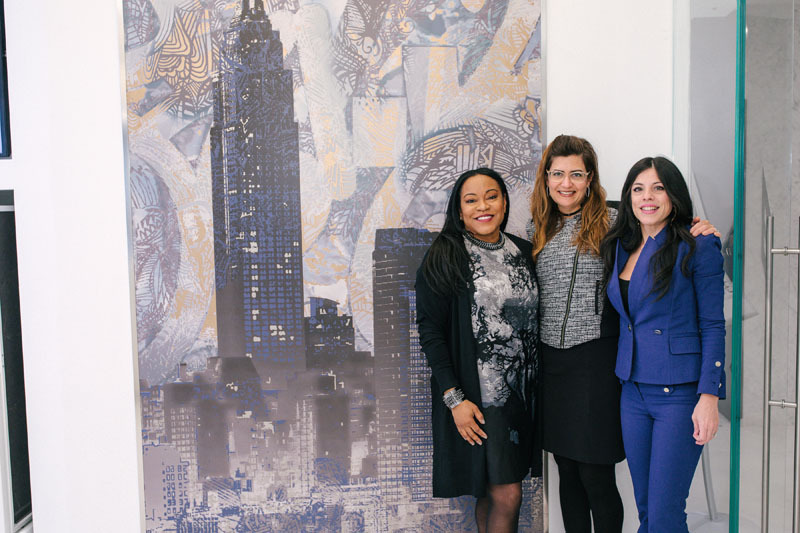 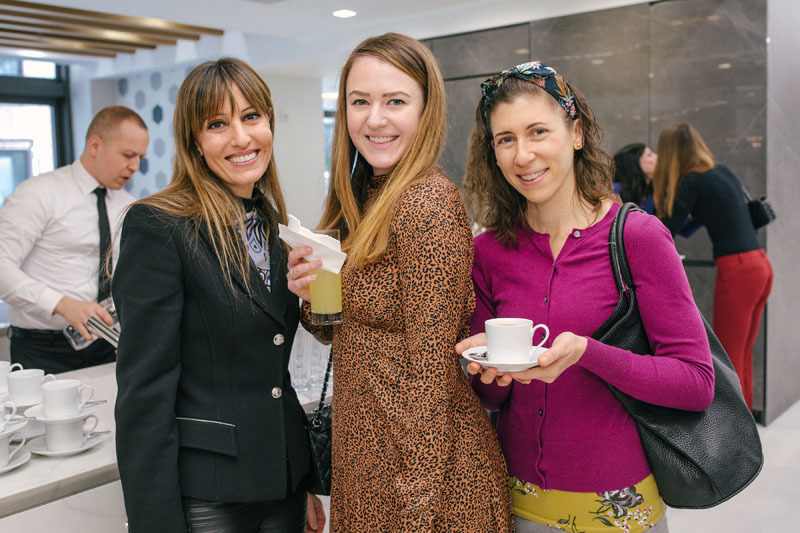 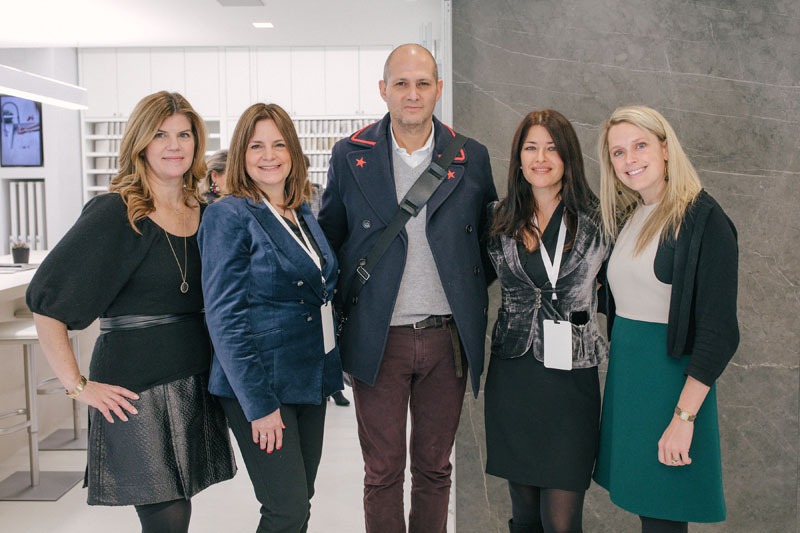 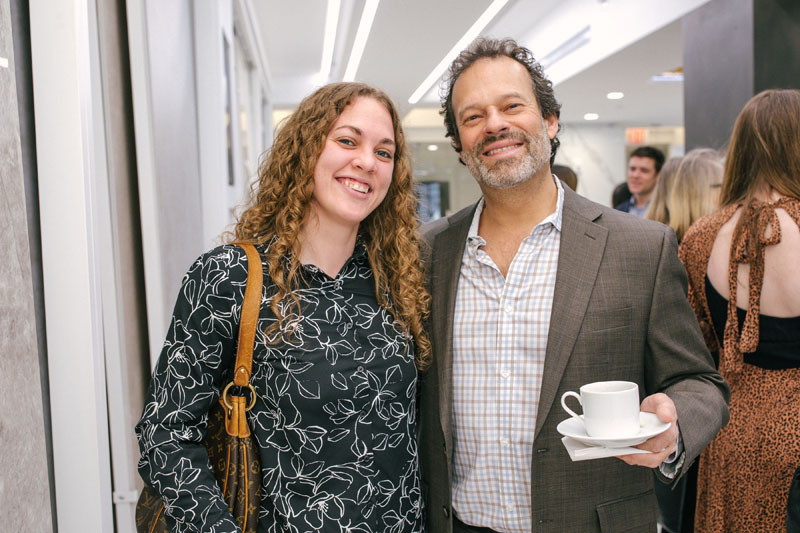 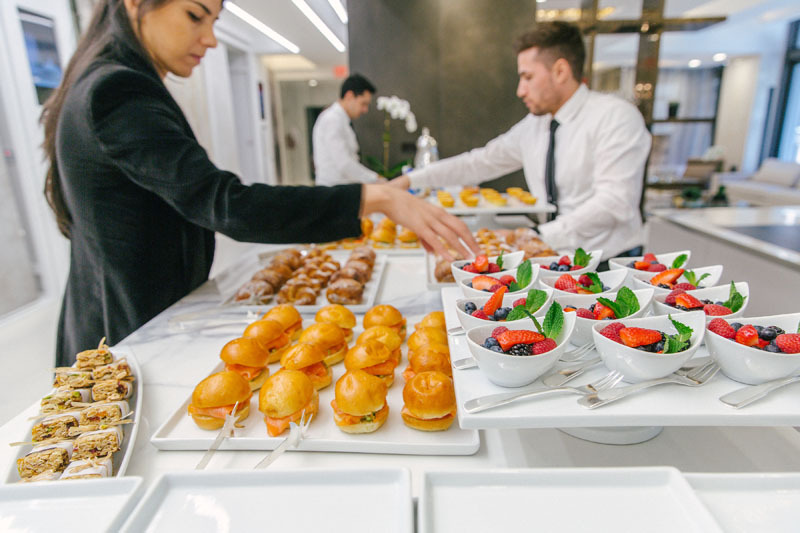 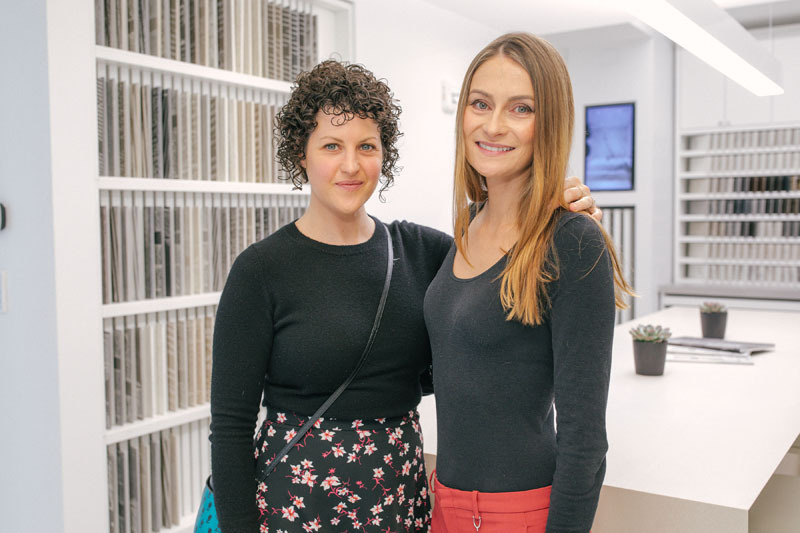 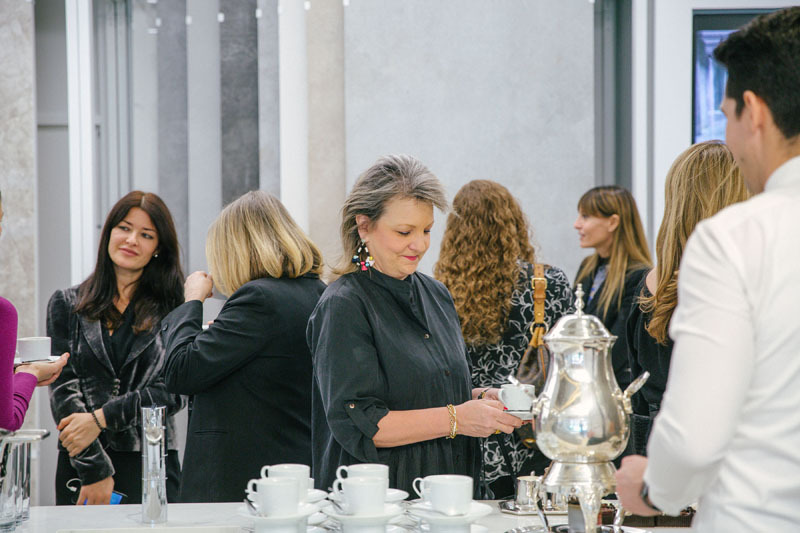 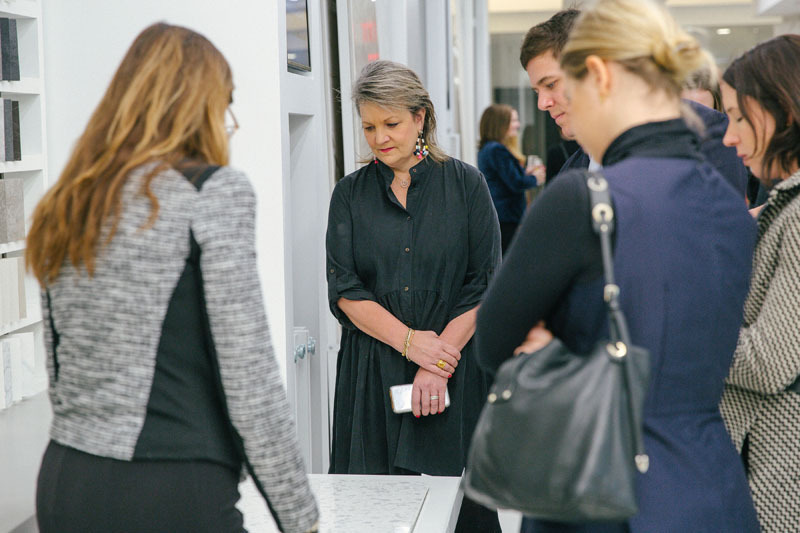 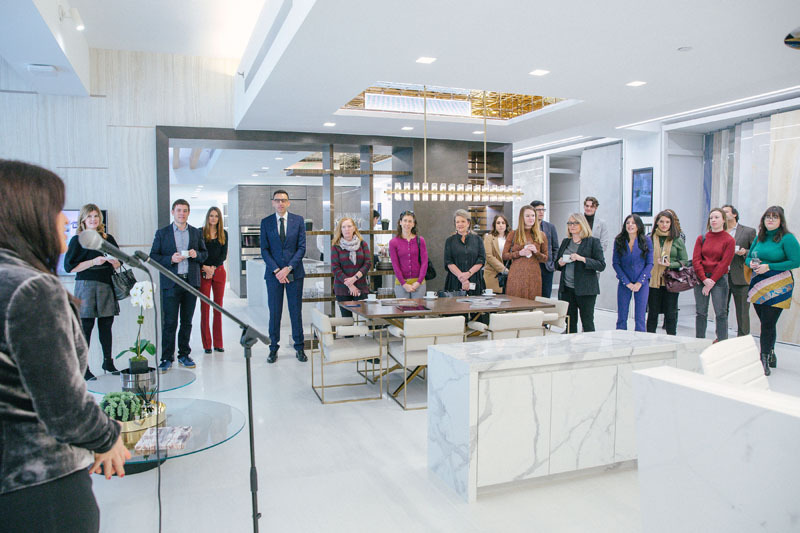 Premier Italian porcelain and ceramic architectural surfaces brand Fiandre hosted a kick off breakfast for the press to announce the opening of its first NYC showroom. 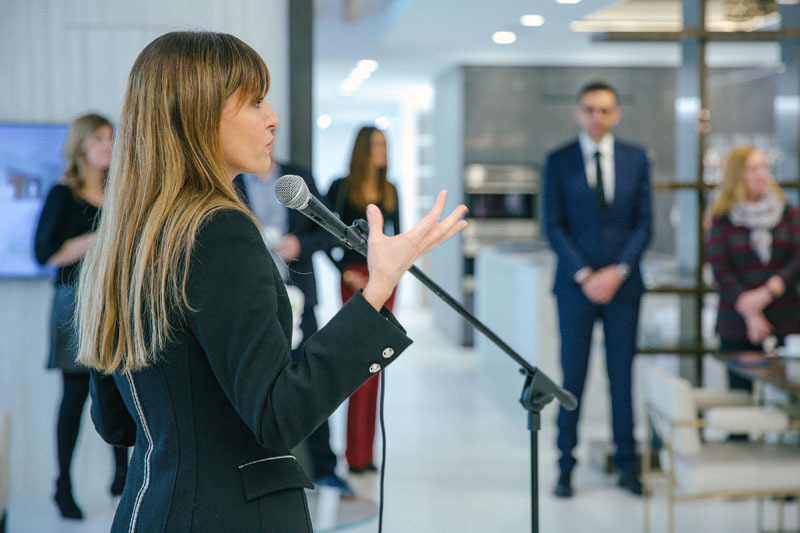 Federica Minozzi, CEO of Iris Ceramica Group, delivered a presentation to the media, which was followed by press tours of the showroom. 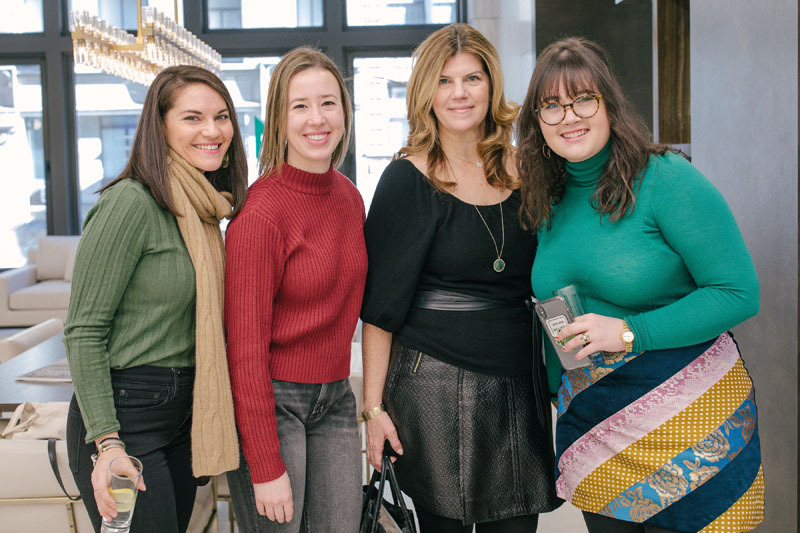 The 4,000 square foot showroom is located in the heart of the NoMad Design District and showcases inspirational home environments for both residential and commercial concepts. 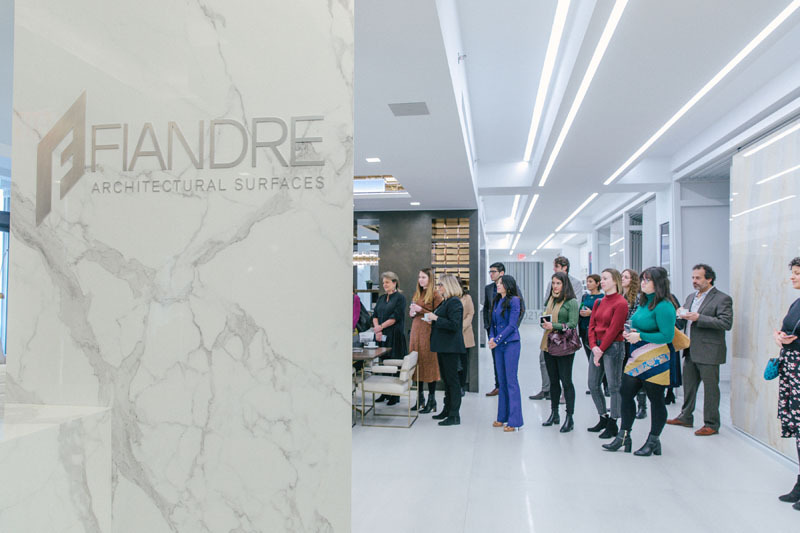 The NYC showroom is Fiandre’s fifth corporate showroom in the U.S., in addition to its flagship studio in Chicago, and showrooms in Los Angeles, Orange County and San Francisco. 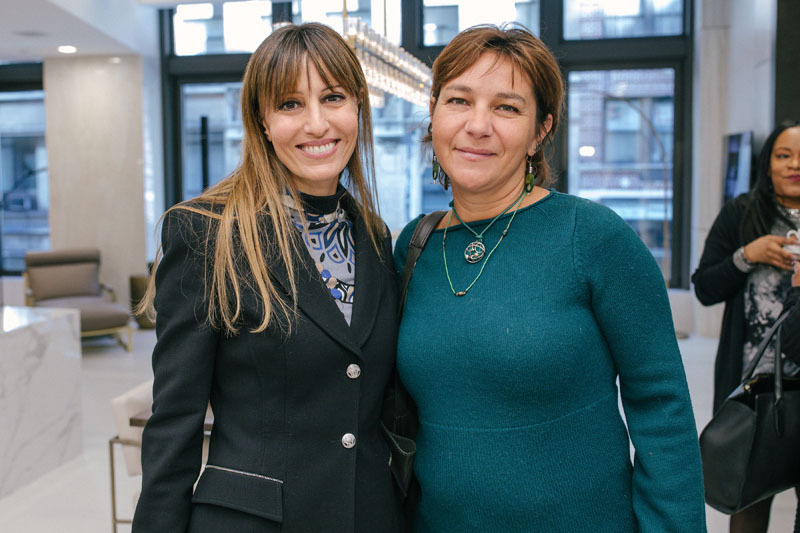 Giulia Bucci introduces Fiandre CEO Federica Minozzi. 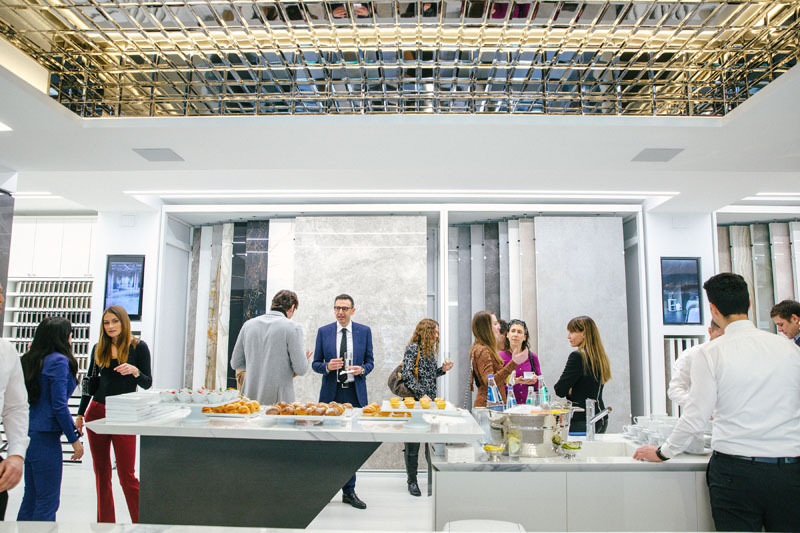 Press guests and Fiandre executives mingling in the Fiandre showroom centered by a gold glam mirror ceiling. 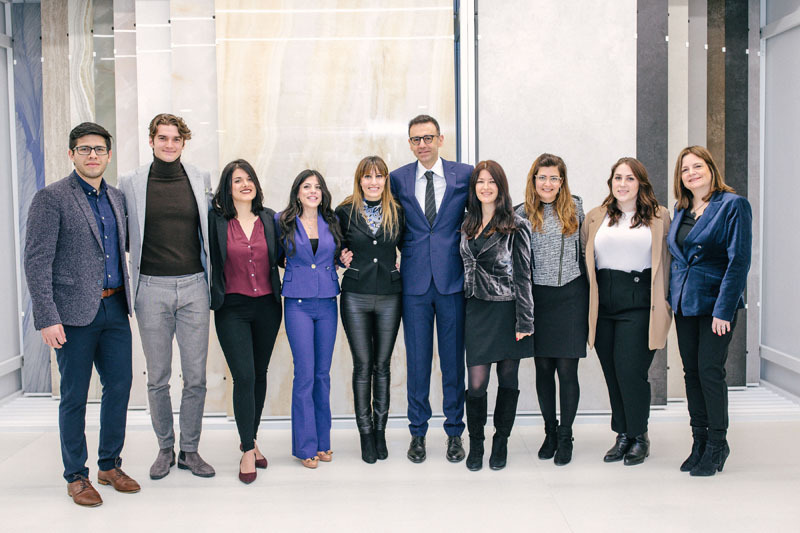 Press gathers to hear a presentation by Fiandre CEO Federica Minozzi.